Architect Zaha Hadid, the first woman to win the Pritzker Prize, the field’s highest honor, died Thursday in Miami. She was 65. The Iraqi-British architect was highly regarded in the field; her neo-futuristic buildings are defined by powerful, curving lines that are meant to evoke the often fractured movement of urban areas and modern life. Large, imposing and constructed with ultra-modernist materials like steel, concrete and glass, Hadid’s designs are simultaneously disjointed and elegant. Her major designs include the London Aquatic Center (built for the Olympics), the Riverside Museum in Glasglow, the Guangzhou Opera House in China and the Vitra Fire Station in Weil Am Rhein, Germany (that structure first earned her international acclaim). 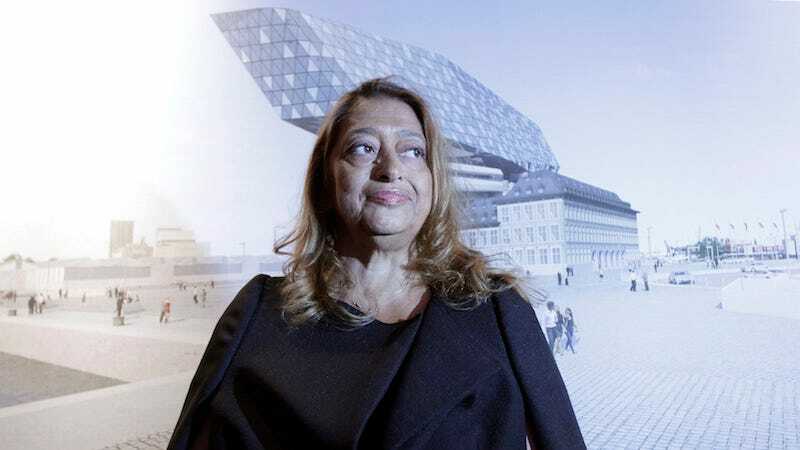 In a lengthy statement, her firm, Zaha Hadid Architects, said that Hadid had contracted bronchitis earlier this week and had a heart attack in the hospital. Born in 1950 in Baghdad, many of Hadid’s early designs were perceived as too avant-garde and she struggled early in her career to find a foothold. In 1993, her design for the Vitra Fire Station, the first realized project of her career, earned her international recognition. The building complex is a manifesto of sorts, defining the marriage between philosophy and architecture that underpinned Hadid’s approach. It’s dynamic lines are, according to Hadid, an extension of the landscape, thus calling attention to the tension between the artificiality of architecture and its natural environment. It’s truly a stunning work. The Pritzker was one of many major awards that Hadid earned. She won the United Kingdom’s RIBA Stirling Prize twice and was the first woman to be awarded the Royal Institute of British Architects’ gold medal. View of Zaha Hadid’s Broad Art Museum, Michigan State University, 2012. “Yes, but I’m more concerned about the deaths in Iraq as well, so what do I do about that? I’m not taking it lightly but I think it’s for the government to look to take care of. It’s not my duty as an architect to look at it. In 2014, she also sued the New York Review of Books for defamation over an article they published about the Qatar project. The NYRB later apologized, and settled the lawsuit, with Hadid donating part of what she won to “a charitable organization that protects labor rights,” as Architect magazine reported. In addition to the Qatar stadium, Hadid has numerous other projects in various stages of completion, including her first residential building, an apartment complex in Manhattan’s West Chelsea. It’s scheduled to be finished later this year.